Dr. Justin Evanovich currently serves as an Assistant Clinical Professor in the Department of Educational Leadership within the Neag School of Education and as the Managing Director of Husky Sport (www.huskysport.uconn.edu). Husky Sport provides UConn staff and students a unique and intentional structure for collaboration with community and campus partners to plan, deliver, and evaluate youth development programs aimed at enhancing exposure, knowledge, and access to sport and physical activity, healthy nutrition, and academic achievement, as part of positive lifestyles and opportunities. 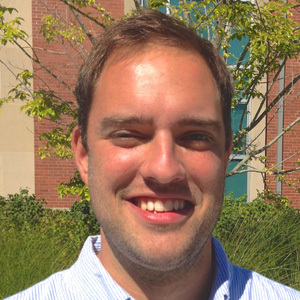 Justin teaches courses associated with sport, community, education, critical social theory, and service learning. Research has focused on individual level impacts of sport-based development programs with youth and the reciprocal impact of involvement with college student participants. Fuller, R.D., Evanovich, J.M., Bruening, J.E., Welty Peachey, J. A, Coble, C.J, Percy, V.E, Maldouangdock, J., Corral, M. (2015). The impact of a sport-based service learning course on participants’ attitudes, intentions and action toward social change. Journal of Intercollegiate Sport, 8, 14-26. Bruening, J.E., Welty Peachey, J.A., Evanovich, J.M., Fuller, R.D., Chung, M., Percy, V.E., Silverstein, L.A., & Coble, C.M. (2015). Managing sport for social change: The effects of intentional design and structure in a sport-based service learning initiative. Sport Management Review, 18(1), 69-85. Bruening, J. E, Cotrufo, R. A., Fuller, R. D, Madsen, R. M, Evanovich, J. M., & Wilson-Hill, D. E (2013). Applying intergroup contact theory to the sport management classroom. Sport Management Education Journal. Bruening, J.E, Madsen, R.M., Evanovich, J.M & Fuller, R.D. (2010) Discovery, Integration, Application and Teaching: Service Learning through Sport and Physical Activity. Sport Management Education Journal, 4(1), 31-48. Evanovich, Justin, M. (2011). “Identity Development and the Potential Impact of a Service Learning Experience: A Qualitative Inquiry”. Dissertation.